Our Chicago medical malpractice lawyers represent clients who have been harmed, injured, or otherwise suffered due to negligence of a doctor or other healthcare provider in a medical institution or facility. When Illinois doctors, nurses, technicians, anesthesiologists, or other medical professionals make a careless or reckless mistake that has lasting consequences, you and your family deserve answers and compensation. We can help protect future victims. All medical and healthcare professionals in the state of Illinois and elsewhere in the nation have a legal duty to follow what’s referred to as a ‘standard of care’. Standards of care are in place to protect us and ensure we get the right care and proper medical treatment when we visit the doctor, become hospitalized, or visit the emergency room. Standards are even in place for other facilities of health and well-being include dentist’s offices and mental health clinics. These standards guide professionals and are a major part of their career training. They encompass all aspects of medical care from how long they must stay with a patient to what questions they must ask, how they treat patients, how they get permission to do medical procedures, and how medication is administered. When a medical professional breaches and does not follow these standards, patients can suffer long-lasting injuries or fatal consequences. When they fail to follow these standards, we call those actions acts of ‘malpractice’ and medical negligence. If you’ve been injured or harmed by actions or inaction taken by a medical professional that did not adhere with the proper standard of care, you may be eligible to file a medical malpractice claim against that individual or institution that allowed that negligence to occur. What Counts as Medical Malpractice in Illinois? Surgical errors – When a surgeon makes a critical mistake in the operating room such as operating on the wrong limb or leaving an instrument inside of a patient. Prescription errors – When a doctor or pharmacist prescribes the wrong medication, wrong dosage, or fails to ask about medical allergies, etc. Misdiagnoses/delayed diagnoses/failure to diagnose – If a patient is incorrectly diagnosed or is not properly diagnosed before a life-threatening condition becomes dangerous, a doctor may be found guilty of not correctly performing a diagnosis. Failure to provide treatment/delayed treatment – When a hospital is understaffed, it may be easy for medical providers to fail to deliver treatment in time. If this causes a patient to suffer, malpractice may have occurred. Lack of informed consent – All medical professionals must inform their patients about procedures that will be performed on them. Consent must be given. If it isn’t and injuries/harm occurs, they can be found liable. Birth injuries – During the process of childbirth, nurses, doctors, or technicians sometimes make mistakes in monitoring the baby/mother or when performing a C-section. This may cause the baby to suffer. Anesthesia errors – Anesthesiologists have a legal responsibility to ensure patients receive enough anesthesia administered in an appropriate manner when undergoing surgery and do not have complications. When complications occur, may be found negligent. Dental malpractice – When a dentist is found guilty of negligence and harming a patient as a result, they can be sued for malpractice. Defective medical devices – Manufacturers are sometimes found negligent when they create medical devices such as surgical devices or implants that fail to work properly or cause harm in the operating room. Nursing home abuse and neglect – Nursing home neglect and abuse is considered a form of malpractice because elder care facilities have a responsibility to provide residents with a certain standard of care just like patients in a hospital setting. Emergency room errors – A critical E.R. mistake can cause a patient to lose their life or suffer lifelong complications. These types of errors are often caused by emergency rooms that are too crowded and understaffed. Facts You May Not Know About Medical Malpractice in the U.S. When mistakes are made in the medical field, they are usually not acknowledged or the cause is not revealed unless the victim decides to take legal action to get answers and hold the medical professional accountable. Doctors and other healthcare professionals are taught and trained to do everything they can to avoid malpractice. Malpractice is expensive, and it can cost a physician, hospital, or clinic its reputation. In 2014, the most common types of errors that ended in malpractice were diagnosis errors. Surgery errors, treatment errors, and obstetrics errors followed closely behind. 30% of all malpractice suits in 2014 resulted in wrongful death (death of the patient). 18% resulted in significant permanent injury and 17% resulted in major permanent injury. In Illinois alone, hospitals and medical facilities paid out a total of $201,849,500 in malpractice settlements in 2014. This was an increase of almost 19% from 2013. 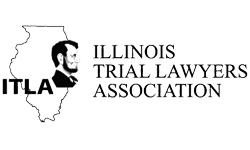 Illinois facilities paid more in malpractice claims than other state in the Midwestern U.S.
Medical negligence claims can be exceptionally difficult to fight in Illinois. This is because most hospitals and medical facilities employ some of the most powerful legal departments in the state and know what loopholes they can use to argue that their employees acted within the proper standards of care when they may not have. Hospitals spend a great deal of money to avoid getting sued, but this doesn’t mean that malpractice never happens. It must be proven that the doctor, nurse, technician, or other medical professional breached the standard of care that providers must adhere to when providing medical treatment, procedures, and care. It must be proven that this breach of care (the mistake) was a proximate cause of harm to the patient. When working with a medical malpractice attorney in Chicago, this second point will likely be the most difficult to prove. Most hospitals, providers, and medical facilities will argue that the victim’s injury or suffering was caused by some other means or that the patient did not do as instructed when it came to following care orders. If you or someone you love has suffered due to a medical error made by a doctor, nurse, or other professional at a hospital, doctor’s office, or emergency room, you deserve peace of mind. 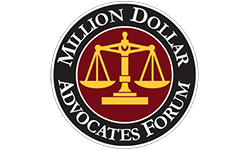 Filing a malpractice lawsuit may get you answers to what caused your injury and provide you with compensation to help you return to the life you had before the doctor, hospital, or medical professional breached the standard of care they were supposed to adhere to. To learn more, we encourage you to get in touch with Krzak Rundio Law Group today. Our Chicago medical malpractice lawyers are ready to assist you however they can and will not hesitate to go up against a major hospital or healthcare provider group if their expert-considered review determines that a malpractice lawsuit is warranted under the circumstances. Our attorneys have the experience and resources to evaluate and pursue your claim.